Offers more body and a natural glow. 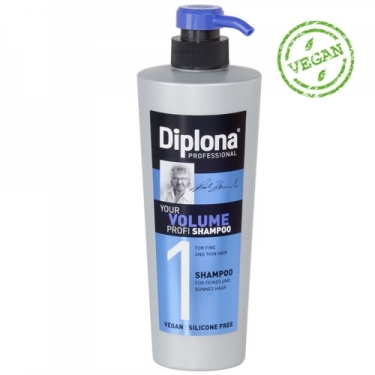 DESCRIPTION: Your Volume Profi Shampoo from Diplona is a shampoo with panthenol. This product cleans gently, without turning the hair very heavy. Avoid using extra rich products in hair care.